We are going into some uncharted waters for financial advisors. Realistically, the reason you went into financial planning involved a lot of personal characteristics, but one of them was likely that you’re pretty good with numbers. Heck, you may have even been the “numbers-kid” growing up. As a result you understand your value and your worth because you’ve got the bottom line to prove it. However, you’ve likely learned from experience that those values simply don’t draw in customers the way you would have expected. So that leaves you with marketing. Which in all likelihood hasn’t been your area to shine (think of the arts kids from your grade 5 class… you didn’t understand them then, and it’s likely you don’t now). However, this is where you will take your ability to prove me wrong to the next level. For many years you’ve heard that CPA’s and estate planning attorneys are the key to a steady stream of referrals. But most of you have never been able to really break into that market. Guess what? We have the golden key to open those doors and getting you in front of and top of mind with any COI you want to woo. You might be thinking, this is crazy talk, no one will be on my podcast. Remember that saying, all news is good news? Well COIs in your area crave that same exposure you’re looking for. But, very few of them, if any, have their own podcast. You can use this podcast to deepen those connections, as well as create a simple marketing piece that’s shareable across so many platforms. Tweet about it, email it, heck, if you’re really craving the good old days, burn it onto a CD and blast it in your retro car. Remember those bottom line numbers you wanted to market with before. While they may not have pizzazz on paper, you can make them come to life through stories and discussions with your COIs. Adding real world scenarios helps you sell your services and confirms your expertise. Now if you’re asking yourself… who do I invite? Well, I believe in practicing what you preach. And at Top Advisor Marketing Podcast we’ve had incredible success with all types of guests, and so have our clients. We love working together with our guests. And our advisors do too. 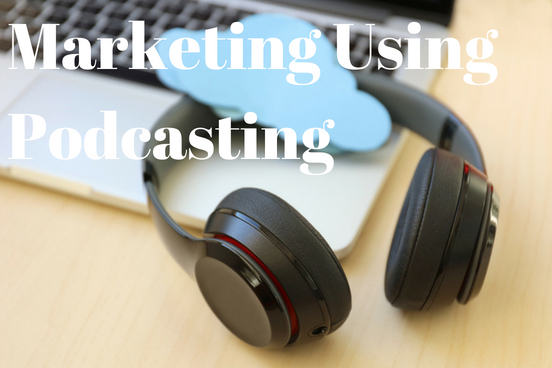 Podcasting is marketing that works.